Deiva Priyananth Pediatric Consultant, P.K. Das Institute of Medical Sciences, Vaniyam Kulam, Kerala, INDIA. N. Shonmugam Varmam Researcher & Hon. Advisor, Arts Research Institute, Coimbatore, Tamil Nadu, INDIA. This paper presents the efficacy and importance of Varmam application and treatment applied on new born to prevent Birth Asphyxia. In this study Varmam technique was tried to prevent birth asphyxia by bringing about the first cry in a baby. This is one of the main causes for Infant mortality. It is much more in developing countries. In India out of 25 million infants born every year, 3 - 5% experience birth asphyxia, which amounts to almost 7,50,000 infants. Infant mortality rate is 57 out of every 1000 live births in India, which is comparatively higher than developed countries. One of the main causes is birth asphyxia. PRIYANANTH, Deiva; SHONMUGAM, N.. BABY’S FIRST CRY : A PROGNOSTIC STUDY BY VARMAM THERAPY. 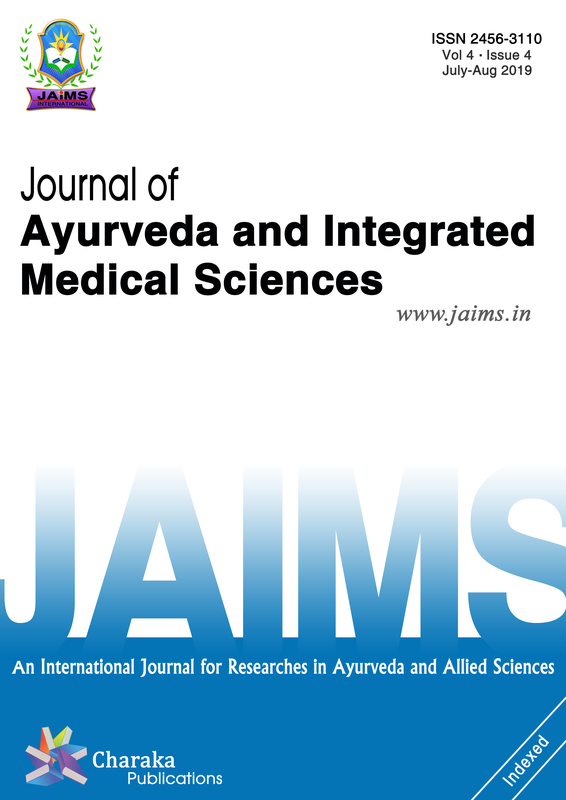 Journal of Ayurveda and Integrated Medical Sciences (ISSN 2456-3110), http://www.jaims.in/index.php/jaims/pages/view/Citation, v. 4, n. 1, p. 20 - 25, mar. 2019. ISSN 2456-3110. Available at: <https://jaims.in/index.php/jaims/article/view/755>. Date accessed: 25 apr. 2019. doi: https://doi.org/10.21760/jaims.4.1.4.